Description: Help your county and state rise to the top of the leaderboards in the Great American Multiplication Challenge. First choose your state and county (this may happen automatically or you may have to allow the program to obtain your location). Then, choose the multiplication tables to practice. 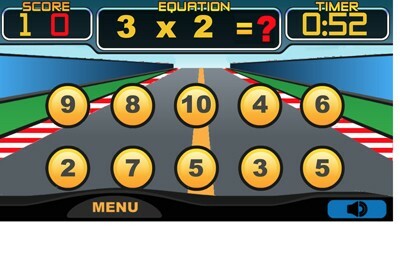 Answer as many multiplication facts as you can in two minutes. When you are finished, click on “view statistics” and see how your performance helps your state and district. 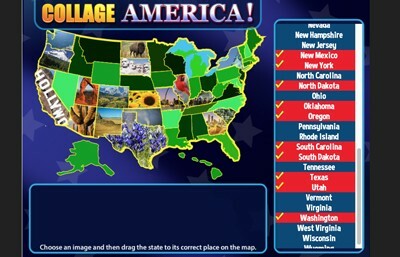 Try to help your school or district obtain 1,000,000 correct multiplication problems and see where your state and district rank nationally in basic multiplication (according to this game). 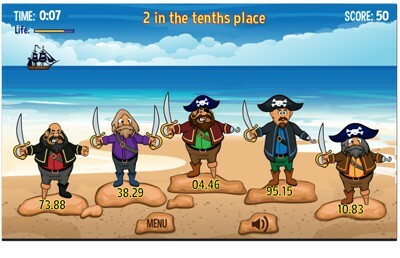 Description: Tony Fraction is a fun game that reinforces fraction identification, reduction, and equivalent fractions. Students play the role of Tony, a pizza shop owner who must fulfill the requests of his demanding customers. Tony’s customers order their pizzas with odd fractions of topping — not just the traditional "1/2 pepperoni and 1/2 plain." Tony’s customers routinely order pizzas with fractions such as fourths, sixths, eights, twelfths, and even sixteenths depending on the size of the pizza ordered. Students have five minutes to fill as many pizza orders and possible with the goal of making as much money as they can. NOW PLAY WITH OR WITHOUT THE COUNTDOWN. Description: This embedded YouTube video will show you how to play Tony Fraction's Pizza Shop. 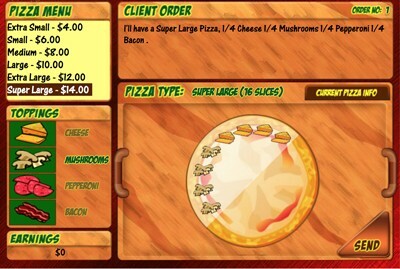 Description: This is Tony Fraction's Pizza Shop in Spanish! Description: The Zombies of the Brittany Graveyard have been a scourge upon the village for many years - terrifying those who wish to visit the graves of their loved ones (animations). Recently, the townspeople came together to call upon you, the world's foremost zombie exterminator to bring light once again to their cemetery by defeating the zombies. 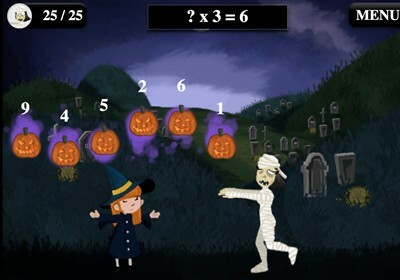 Use your unique and high-powered multiplication skills to fling your devastating jack-o-lanterns at the hapless zombies. If you can clear each of the five points of the cemetery of the horrid zombies, you'll succeed in your task of liberating the cemetery and will receive a key to the village of Brittany. 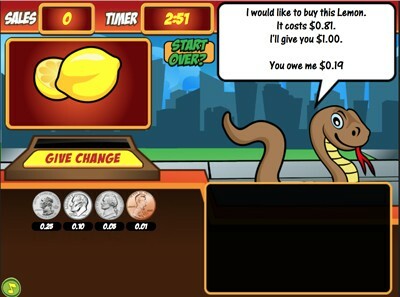 Description: One of the most popular games on mrnussbaum.com, Cash Out is perfect for practicing counting money or calculating change. Students have three minutes (or can play without a timer) to complete as many sales as possible by giving customers the correct change. 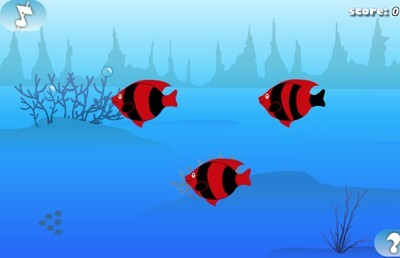 The game is totally customizable and with different skill levels and hints/no hints. Description: This innovative game requires students to save seven members of a Royal Family from prison by using their order of operation skills to build stairways leading to their secret cells. 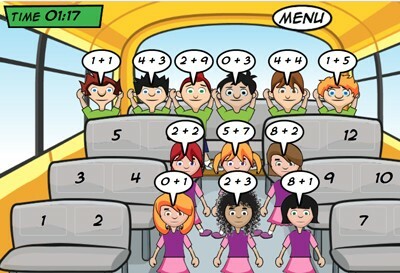 Choose your character first and then begin solving the order of operations equation by clicking on the first number, then its operator, followed by the second number. For example, in a problem such 5 + 3 x 2 (6 – 4). The user should click on the 6 first, the “-” second, and the 4 last. Once two numbers and the operator have been clicked on, the program will isolate the problem to solve, in this case 6-4. If the student correctly solves the problem, a second step will appear with the shortened problem: 5 + 3 x 2 – 2. The user would then click on the 3 followed by the “x” and then the two. The resulting problem on the next step would be 5 + 6 – 2 and students would solve the last two problems before successfully saving the first of the royal family. 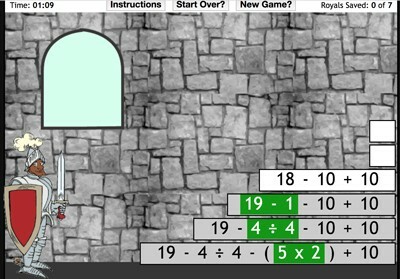 This game is OUTSTANDING practice in order of operations and one of the only GAMES on the internet reinforcing this skills. Description: This video will show you how to play Order Ops. 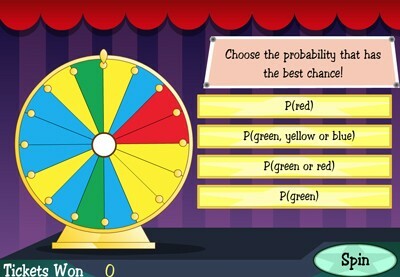 Description: This fun game allows students to earn tokens to the fair by demonstrating their understanding of probability. Once inside the fair, students can play a range of different probability games. See the demonstration video for more. 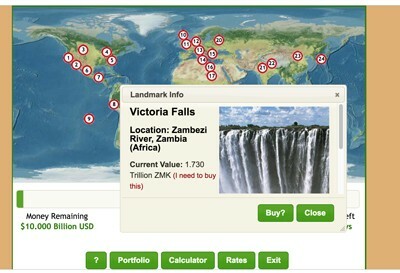 Description: This video will show you how to use Probability Fair. 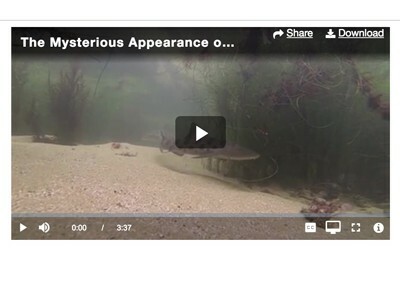 Please note that it is an embedded YouTube video. 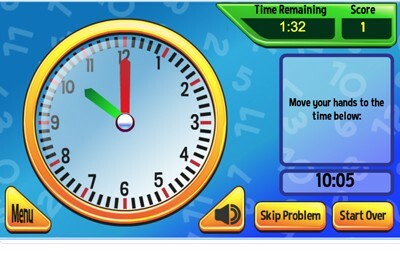 Description: Clockworks in an awesome way for kids of all grade levels to practice telling time. It requires students to set as many clocks as possible in two minutes. The game is completely customizable. The easy setting includes times that end in :00, :15, :30, or :45. The medium setting includes the above as well as five-minute intervals. The advanced setting includes times to one-minute intervals, and the challenge setting includes difficult elapsed time problems. In this setting, scoring one or two is impressive! Description: One day, when Will and his brother Gaby, were happily playing with their happy hamstars, the mean Black Widow appeared and took them all to his underground lair. Will and Gaby were heartbroken! Now, help Will save his happy hamstars by answering the adding and subtracting problems to unlock the gates to all of the cells! As you succeed in your mission, you'll earn tokens that can be used in the Happy Hamstar machine to earn Happy Hamstar Trading Cards. Try to collect all 15 and the RARE gold cards! See the instructional video for learn more. Description: This video will show you how to play Will and His Happy Hamstars. Please note this is an embedded YouTube video. 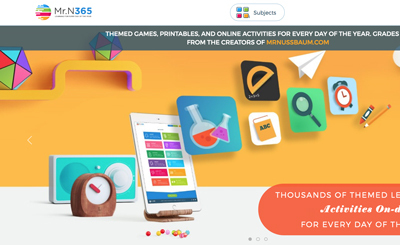 Stock the Shelves - Online Game! 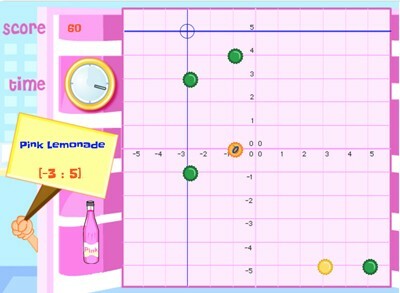 Description: Stock the Shelves is a fun way for students to reinforce their skills in using a coordinate plane. The game does require students to understand negative numbers in a coordinate plane as well as positive numbers. The idea is to help a store clerk "stock the shelves" with drinks such as soda and chocolate milk before customers arrive. Each bottle must be positioned in its exact location. Students have two minutes to position all 20 bottles. 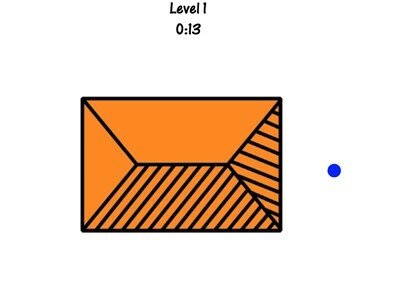 Description: In this fun game, students must keep track of the number of blue dots that remain in the house. As the game progresses, it gets much harder, and students must keep track of blue dots, red dots, and even green dots. Very fun! Description: Half-court Rounding is a game in which students try to score as many points as possible by rounding numbers to the nearest ten, hundred, or tenth. 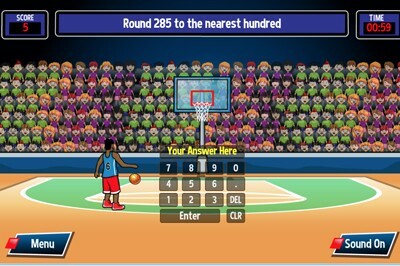 This is a perfect game across grade-levels, because students can choose to shoot free-throws (1 point – round to the nearest ten) jump shots (2 points – round to the nearest hundred) and three-pointers (round to the nearest tenth). 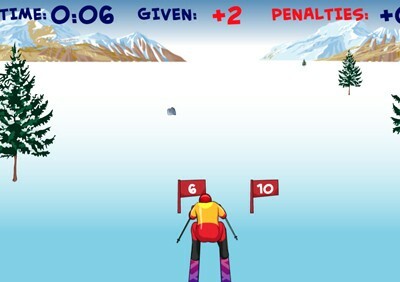 Users can try any kind of shot within the game and have 90 seconds to score as many as points as possible and beat their opponent. If they answer incorrectly, the student misses the shot. Students can also choose a two-player game where they can play a friend or classmate. Description: Why wait until Teacher Appreciation Week to honor your teacher? 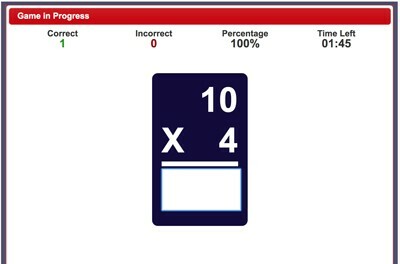 Use your amazing flash card skills to earn as many “neurons” as possible. Use the “tab” key to move from flash card to flash card. Then, spend your “neurons” at the Teacher’s Lounge Store and score a hot tub, dance floor, big screen, popcorn machine and much more to make your teacher’s lounge the best in history. 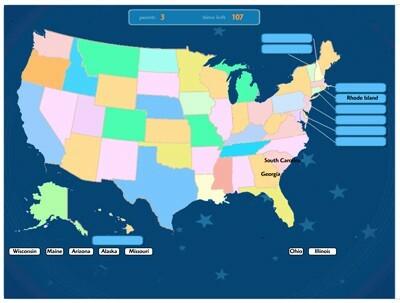 Description: Help your state rise to the top of the leaderboards in the Great American Addition Challenge. First choose your state (this may happen automatically or you may have to allow the program to obtain your location). Then, choose the addition tables to practice. Answer as many subtraction facts as you can in two minutes. When you are finished, click on “view statistics” and see how your performance helps your state. Description: Help your state rise to the top of the leaderboards in the Great American Subtraction Challenge. First choose your state (this may happen automatically or you may have to allow the program to obtain your location). Then, choose the subtraction tables to practice. Answer as many subtraction facts as you can in two minutes. When you are finished, click on “view statistics” and see how your performance helps your state. Description: It’s not Facebook, It’s not MySpace, it’s BMF, Best Math Friends. Friend as many animated animals as you can by answering their word problems. Problems are narrated and students are provided a calculator and work space if needed. See if you can friend all 25 ! The program gives immediate feedback but students have unlimited chances to answer each problem. When finished, students can print out a beautiful certificate that features all of their "friends." 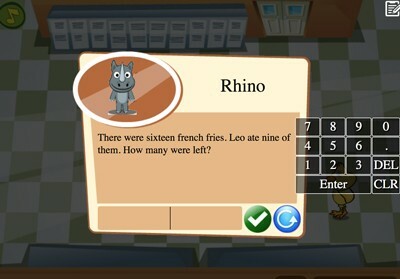 Description: The Big Yellow Bus in a fun math game in which students must tame the unruly students on the bus by using their basic addition skills (sums to 12) to drag and drop them to their correct seats on the bus in 90 seconds. Description: Students play the role of a crusty old man who sells junky items from his garage. 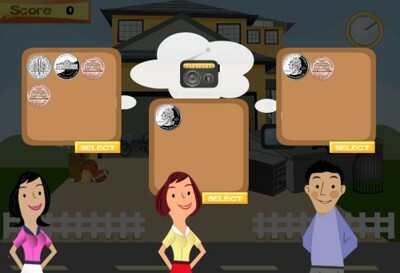 For each item he sells, three people make "offers" in the forms of coin pictures. The student must select the offer that reflects the highest value. Students have one minute to make as many deals as possible. Students are rewarded for choosing the best offer and penalized for choosing the worst offer.